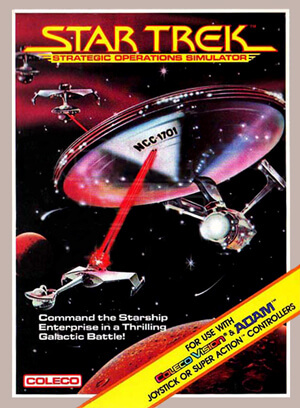 Star Trek: Strategic Operations Simulator is an arcade action game where you take control of the Starship Enterprise. 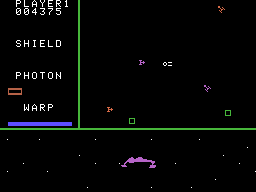 Your mission is to save the Federation from NOMAD! 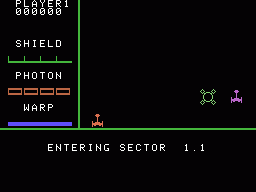 Before you get a chance at destroying NOMAD, you'll have to battle your way through ten levels (each consisting of multiple rounds). 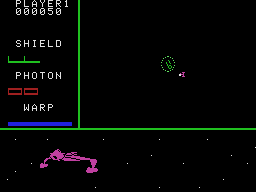 In each round you may encounter Klingon fighters, deadly anti-matter saucers, asteroid fields, and deadly meteors, all of which are capable of depleting the Enterprises energy. 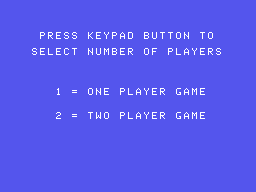 The game ends when your energy supply has completely run out. 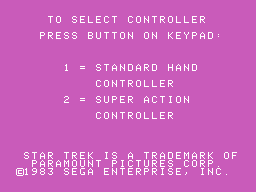 To fight these dangers, the Enterprise is equipped with an unlimited supply of phasers and a limited supply of photon torpedoes. 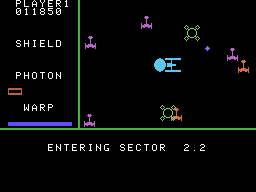 Each round also contains one or more starbases; if you dock at a starbase, some of your supplies (such as energy and torpedoes) will be replenished. 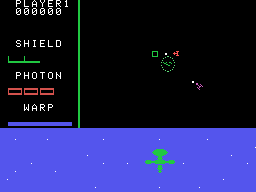 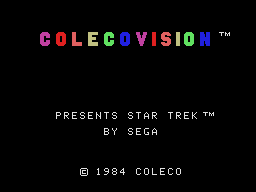 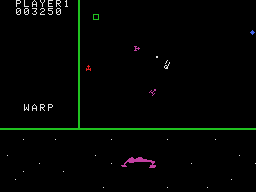 The game is played from two points of view; the top of the screen contains a third person view of the Enterprise (along with the ships gauges), and on the bottom of the screen is a first person point of view.